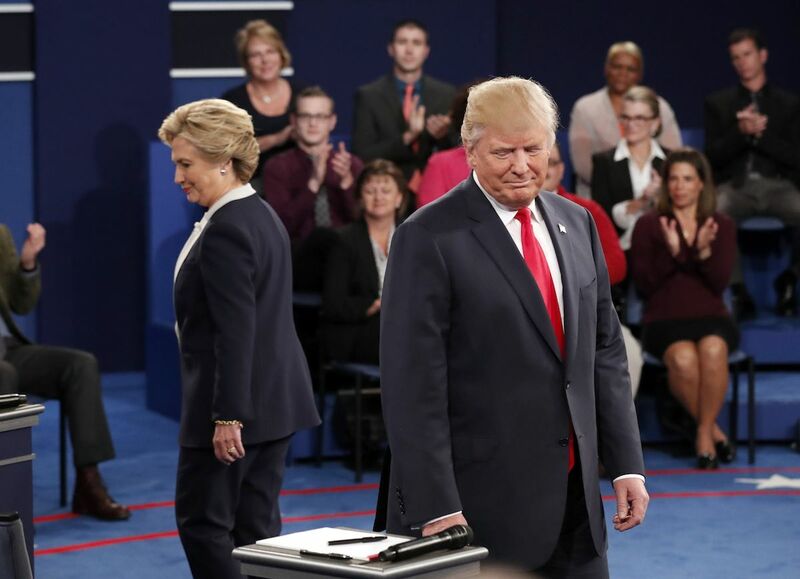 By Tom Kertscher on Tuesday, September 12th, 2017 at 10:55 a.m.
Clinton lost to Trump in Wisconsin. In "What Happened," her new book due out Sept. 12, 2017, Hillary Clinton blames what she calls voter suppression in Wisconsin and other states as one reason she lost the 2016 presidential election to Donald Trump. Her citing Wisconsin reminded us of a fact check we did that sheds light on her suppression claim. "States with harsh new voting laws, such as Wisconsin, saw (voter) turnout dip 1.7 points, compared with a 1.3-point increase in states where the law didn't change," Clinton writes, according to excerpts published in the Washington Examiner. The newspaper said it obtained the excerpts from a source. The Democratic nominee was making a reference to the 2016 contest being the first presidential election in Wisconsin in which a photo identification was required for voting. "In Wisconsin," she continues, "where I lost by just 22,748 votes, a study from Priorities USA estimated that the new voter ID law helped reduce turnout by 200,000 votes, primarily from low-income and minority areas." That’s a more measured way of referring to the study than she used previously. 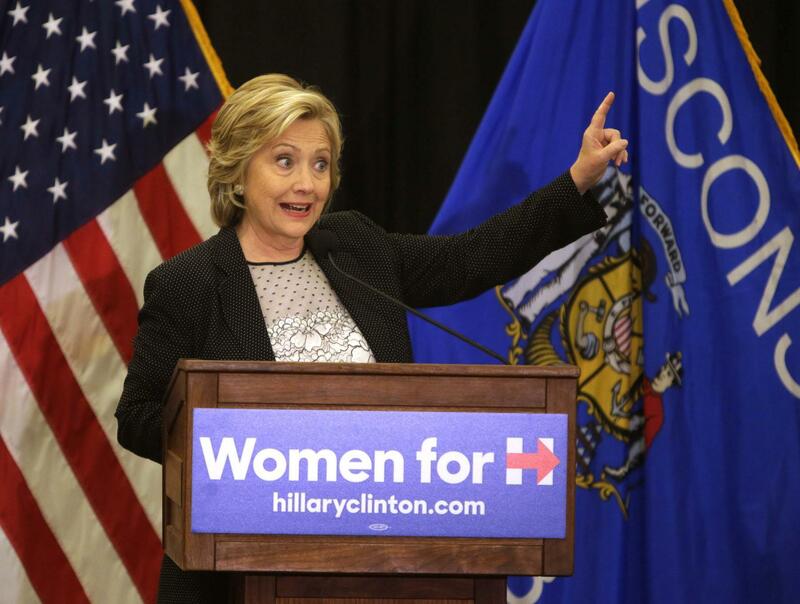 In a May 2017 interview, Clinton had said: "The best estimate is that 200,000 people in Wisconsin were either denied or chilled in their efforts to vote" in the 2016 presidential election. Priorities USA, a group that supports Democratic candidates, had issued a report saying a decline in voter turnout between the 2012 and 2016 presidential elections in Wisconsin was entirely due to the state’s photo ID requirement. But experts told us that while photo ID requirements may reduce turnout to some extent, they questioned the methodology of the report. They also said there is no way to put a number on how many people in Wisconsin didn’t vote because of the ID requirement. 1. Says (in October 2016) Paul Ryan "is still endorsing Trump." 2. Says she "would bring 186,740 new jobs to Wisconsin" and "Donald Trump would cost Wisconsin 61,050 jobs." 3. About "1 percent of all the gun sellers are responsible for more than half of the guns that are used in crimes." 4. Says Donald Trump "wants us to pull out of NATO." 5. Says Dontre Hamilton, who was killed during a confrontation with a Milwaukee police officer, was "unarmed." 6. "We bailed out" Johnson Controls when "we saved the auto industry" and "now they want to avoid paying taxes." 7. Says Scott Walker rejected legislation to make college loan payments tax deductible and the result was "to raise taxes on students." 8. Says Scott Walker's defunding of Planned Parenthood "left women across the state stranded with nowhere else to turn" for cancer screenings, breast exams and birth control. 9. Says Scott Walker "cut back early voting and signed legislation that would make it harder for college students to vote."